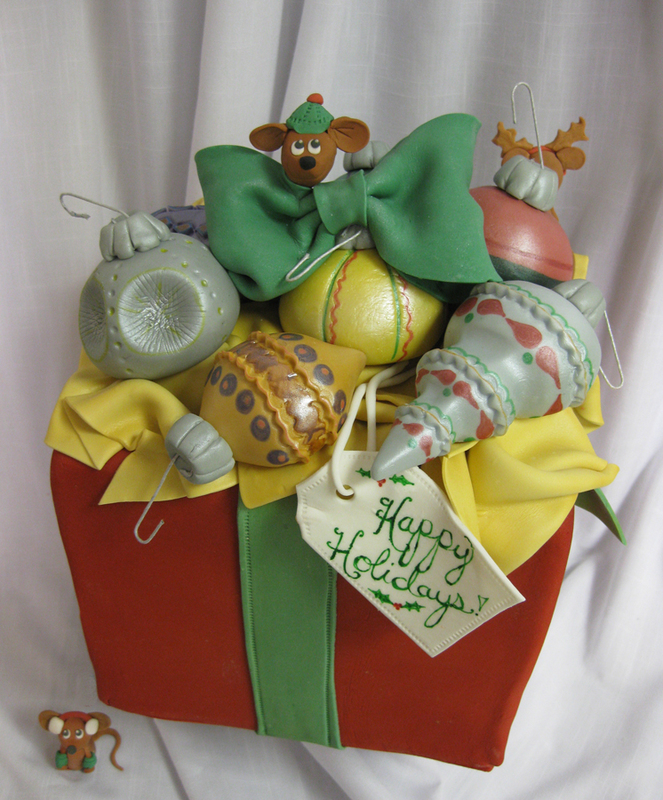 Box o Christmas bulbs cake we designed for Christmas this year. 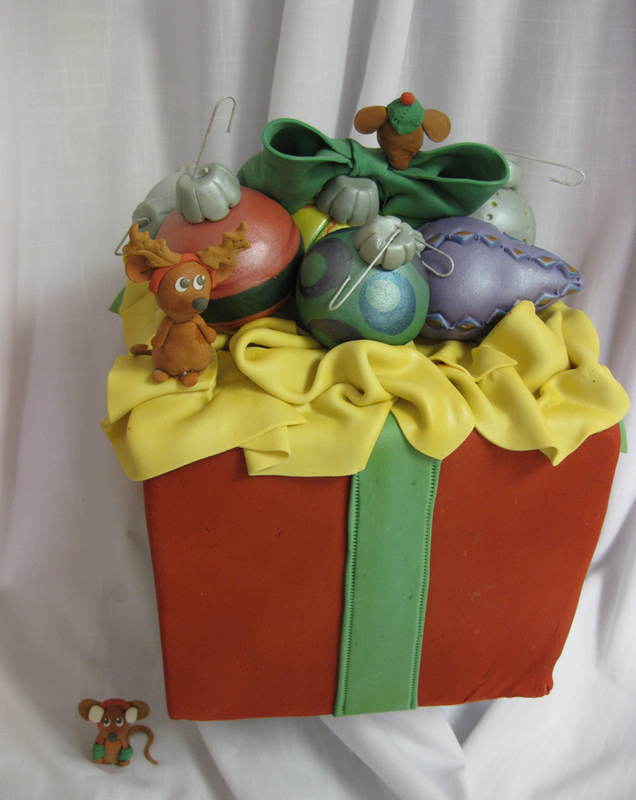 All the bulbs are hand-sculpted out of fondant and painted. Back view of our box o Christmas bulbs and our friendly mice. You may remember these mice from our Halloween post. They were so cute we thought be better keep them around all year. This one’s a company holiday party cake for 100 employees and their families. 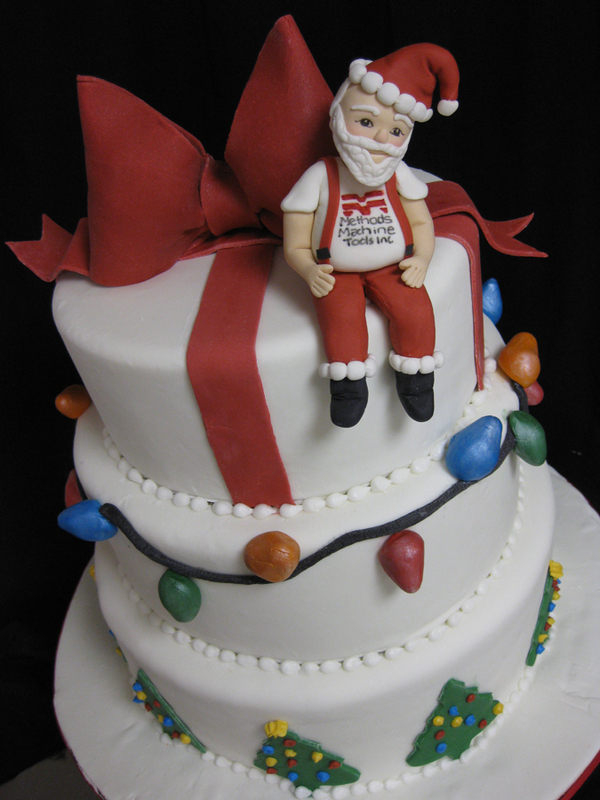 We actually did a Christmas cake for this company last year. 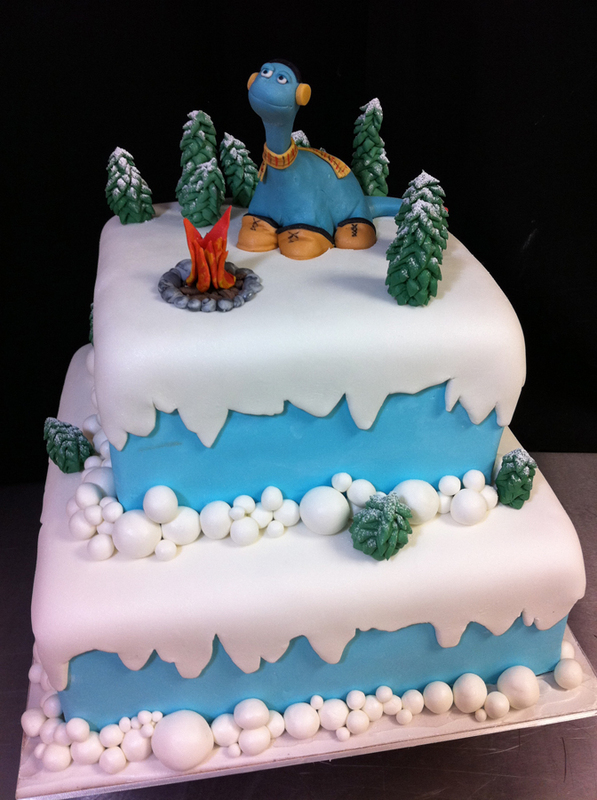 Tim, one of our cake decorators, designed and created this fun Christmas dinosaur cake for his Christmas party. 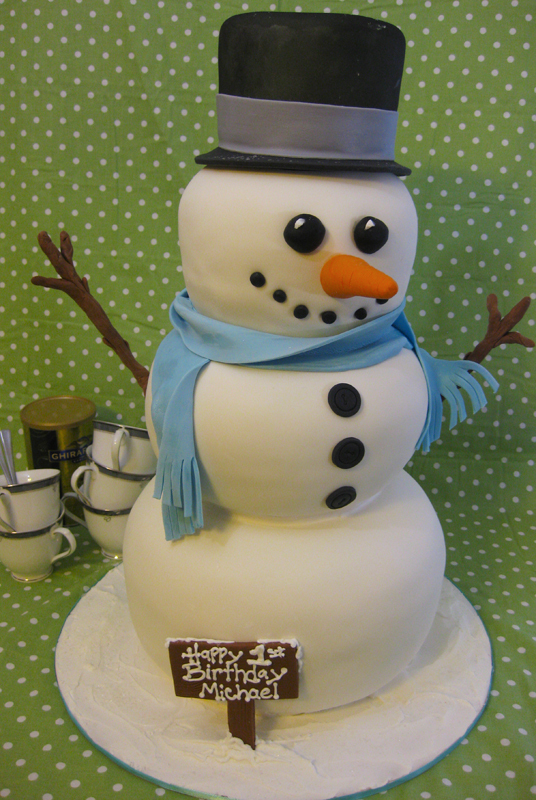 And a more simple winter birthday cake. 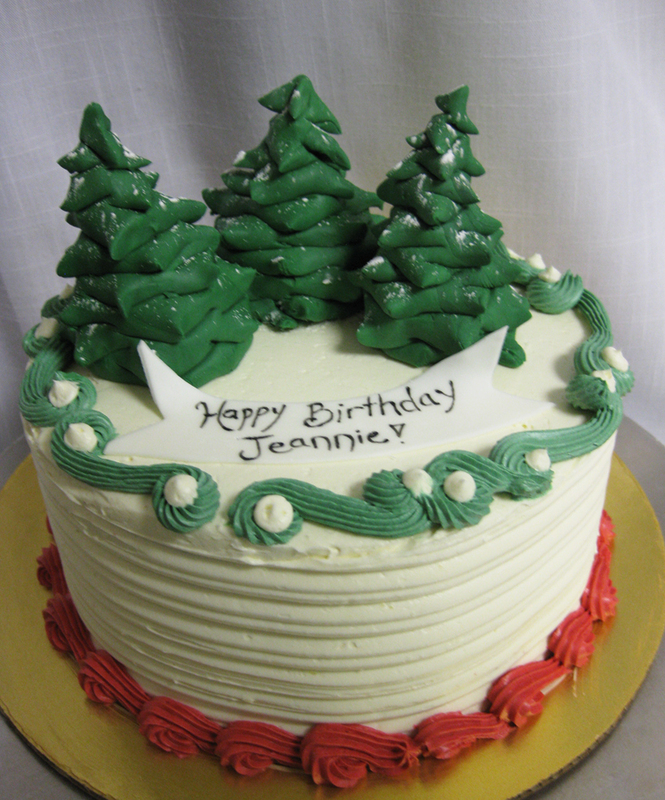 Trees on this buttercream cake are made of fondant and dusted in sugar. And finally, one of our winter favorites from back in January of this year.